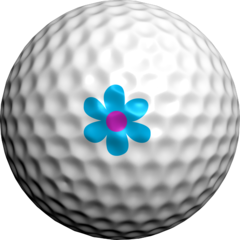 The LPGA & Symetra ladies loved our cute daisies when we previewed them. Now we can hold on to summer year round! Use 2 contrasting styles on the ball and mix it up a little. Perfect.